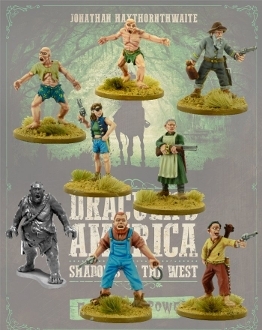 A ready made Posse to use in the game Dracula's America, a Forbidden Power Nickstarter special. The Kin are a cannibal tribe, dwelling in the hills. They do not feature in any of the Dracula's America books, they are a unique Nickstarter item.